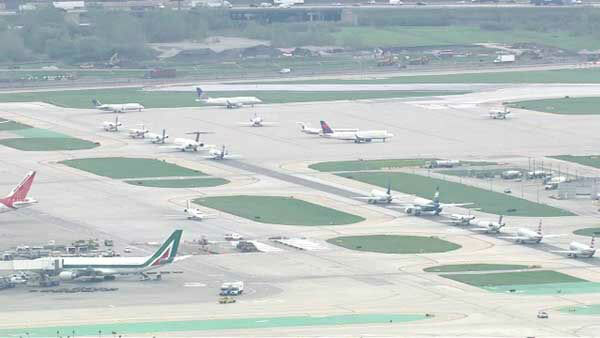 BENSENVILLE, Ill. (WLS) -- Homeowners in Bensenville are suing the City of Chicago over the new flight path at O'Hare Airport. The lawsuit says planes are flying as low as 50 feet over the rooftops of homes. The owners of 65 homes in the flight path are seeking compensation because of the impact of the planes taking off and landing. They're asking for a jury trial and the fair market value of their home before the runway was built. The City of Chicago has not responded for comment.